Your Brisbane Removalists value the importance of earning your trust and exceeding your expectations. As such, we work only with full-time movers who are dedicated to delivering only exceptional professional work. 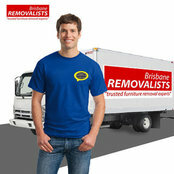 Hire Brisbane Removalists and expect us to: Be professional at all times – and we mean every time! Show up as scheduled at the place and on the date and time agreed. Communicate with you at all stages of the home, office, or furniture removal. Respect your belongings (big or small!) by handling them with utmost care and diligence. Transport your things and place them where you want them to be.